Following the U.S. shale boom which saw the country become a major producer of oil and gas, production of Natural Gas Liquids from the gas component also proliferated. The prices of these products correlate closely with the crude oil price on the market. Due to the huge demand for these products on a global scale and the need for operators to ensure maximal profitability and efficiency, NGLs need to be accurately quantified. Natural Gas Liquids or NGLs are by-products of the hydrocarbon recovery process from natural oil and gas fields. NGL is a component of natural gas composed of carbon and hydrogen molecules with trace amounts of inert gases and is separated from the gaseous substrate through liquefaction. Some common NGLs are Ethane, Butane, Propane, Pentane, and Isobutane. Natural gas liquids are produced from natural gas via condensation, absorption, or other methods in lease separators, an oil and gas field or at a natural gas processing facility. They are maintained in pressurized liquid form in storage tanks. Natural gas liquids are integral for several processes in the modern world – from cooking to space heating, driving of combustion engines, as a petrochemical industry feedstock, and for manufacturing plastics and other polymers. The general system for quantifying oil and gas is the volumetric measurement system which is utilized by the vast majority of operators, producers, and distributors in the industry. However, NGL measurement is often more challenging because Natural Gas Liquids rarely have a homogenous composition. NGLs are often a mixture of several fluids – each component exhibiting its unique characteristics including vapor pressure, specific gravity, NGL density, and compressibility. NGL yield calculation is done based on the gas composition and flow rate. To learn about how to calculate NGL yield from gas analysis, contact the IFS team. Static measurement of NGLs measures the commodity when it is not flowing i.e. when the liquid is at rest. It can be performed as a direct or inferred mass measurement. Direct static mass measurement measures the product by weighing the trucks or tanks containing the liquid. (Where PT = Pressure at the top of the cylinder and PB = Pressure at the bottom of the cylinder). The dynamic measurement involves measuring the commodity when it is flowing through a gas pipeline i.e. when the liquid is in motion. It can also be performed as a direct or inferred mass measurement. Inferred dynamic mass measurement measures the product with a turbine meter. The dynamic measurement instruments listed above will be described in a subsequent section of this article. Both direct and inferred dynamic mass measurements utilize unique instruments for measuring NGLs. Let’s take a look at three of the most common flow meter types used and the pros and cons of each. Coriolis flowmeters are designed to measure fluids in motion. The principle of operation is that when fluids flow through an oscillating tube, it creates inertia which causes the tube to twist. The degree of twisting is proportional to the mass flow rate of the fluid. A Coriolis flow meter may consist of two flow tubes in parallel, a coil magnet driver that oscillates the tubes while fluid flows through them and an array of sensors and transmitters which generate a linear signal that can be observed on an oscilloscope. Coriolis flow meters ensure a high-accuracy in fluid measurement in the oil and gas industry and are ideal for measuring both gaseous and liquid hydrocarbons. Coriolis meters are relatively expensive compared to other measurement devices although they offer high reliability and minimal maintenance. To take advantage of Coriolis flow meter technology in your midstream process, check out the IFS LACT unit today. A turbine flow meter measures the volume of a moving fluid in a pipe by using its mechanical energy to drive a rotor inside it. The rate of flow of the fluid is used to determine its volume. The turbine flow meter is a moderately-priced device for measuring NGLs. It has a very good accuracy (±0.25%) and creates a continuous waveform of volumetric flow. However, turbine flow meters are not ideal for constant flow measurements, i.e. they are not suitable for measuring fluids with varying flow rates. Also, with constant use, the rotor bearings can degrade quickly, requiring replacement. The metering skid from Integrated Flow Solutions uses a turbine flow meter with pinpoint accuracy in custody transfer metering of NGLs. Ultrasonic flow meters use ultrasound technology to calculate the velocity of a fluid flowing through a pipe and determine its volumetric flow. They are compact devices that can be attached to the outer section of oil and gas pipelines or inside the pipes for larger pipelines. The ultrasonic flow meter is a compact device suitable for a broad wide range of scenarios. 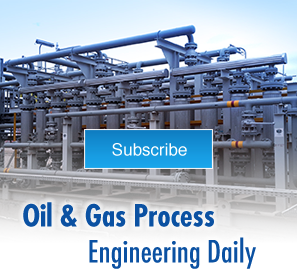 They ensure accuracy in oil and gas measurement with little maintenance required. The main drawbacks are that they are relatively expensive when compared to other meter types that perform a similar function. Ultrasonic flow meters are also susceptible to noise interference from external sources and foreign particles in the pipes might affect accuracy. The process skid manufacturers at Integrated Flow Solutions (IFS) ensure high-accuracy in custody transfer measurements. Our team designs and manufactures modular, configured-to-order liquid measurement systems and engineered-to-order pumping and process systems optimized for all key players across the energy industry value chain. Contact us today for product inquiries or to learn how we can reduce your downtime with our modular process systems.